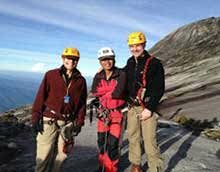 On this unforgettable 14-day tour, you’ll be enchanted and charmed by the wonders of two neighboring countries. 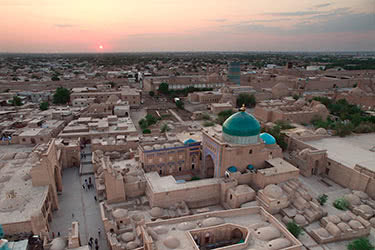 Take a journey from the world’s Islamic capital of Tashkent in Uzbekistan, through the historic inner-city at Khiva to cross the border and camp near burning gas craters and see the ancient Turkmenistani sites of Merv and Ashghabat. Visit the metallic coated horses of Akhal Teke and make your way back to the Uzbek cities of Bukhara and Samarkand with their stunning mosques, madrassas and mausoleums. 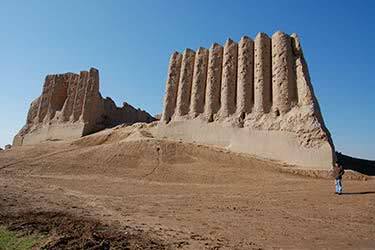 Explore Tamerlane's summer palace and return to Tashkent via a cotton honey farm. 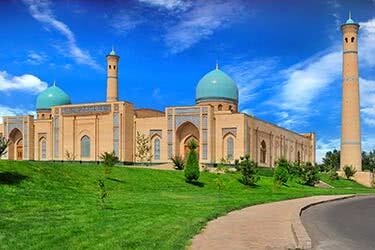 What better way to get your bearings in Central Asia than by starting in the ancient Uzbek capital of Tashkent. After checking in to your comfortable hotel, take a walk to the Khast Imam Mosque, whose library contains the world’s oldest Quran, see traditional artists and sculptors at work in the Barak-Khan Madrassah and browse the bustling bazaar. 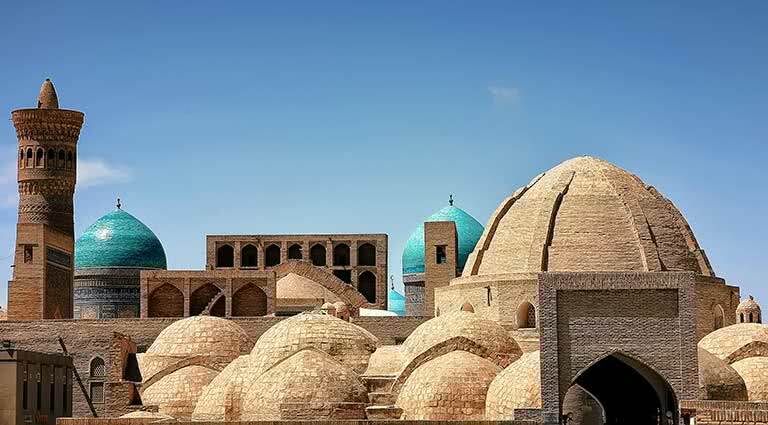 From your hotel, your driver will whisk you to the airport for your flight to Urgench and from there it’s a beautiful drive to historic Khiva. Explore the ancient inner city, Itchan Kala, surrounded by crumbling crenellated walls and discover more than fifty architectural wonders including 10th century Djuma Mosque, with its great hall supported by 112 columns. In the evening relax for dinner at Toza Bog, the last Khan’s summer palace. 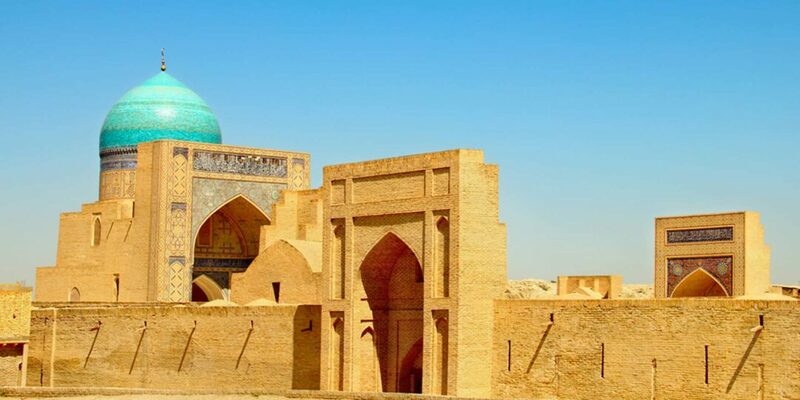 Enjoy the scenery as you cross the border into Turkmenistan and head for the medieval monuments of UNESCO-protected Kunya-Urgench, including its pearl, the intricately decorated Turabek-Hanum mausoleum and the towering Kutlug Timur minaret. Finally, head into the sands of Karakum (around 4 hours' drive) to bed down in traditional tents next to the blazing gas crater of Darvaza. Enjoy breakfast in the camp before packing up your tent and taking a drive through the Turkmenistan desert to marvel at the dramatic scenery. Stop off to see two more active gas craters, where the water boils and the mud bubbles naturally. Continue your drive to fascinating Ashgabat (around 4 hours) where you check in to your cosy accommodation and relax for the night. A short drive out of the city is the UNESCO World Heritage Site of Nissa, with its stunning ancient fortress and royal necropolis dating back to 250 BC. Continue your drive along the stunning gorge of Ushelye for a picnic with a view. On the way back to Ashgabat, you’ll visit a farm of Akhal Teke horses with their distinctive metallic coats and spend the afternoon discovering ancient artifacts of Turkmenistan at the National Museum of History and Ethnography. After a short drive and quick flight to Mary, travel to the string of ancient, medieval and post-medieval cities that make up Merv. 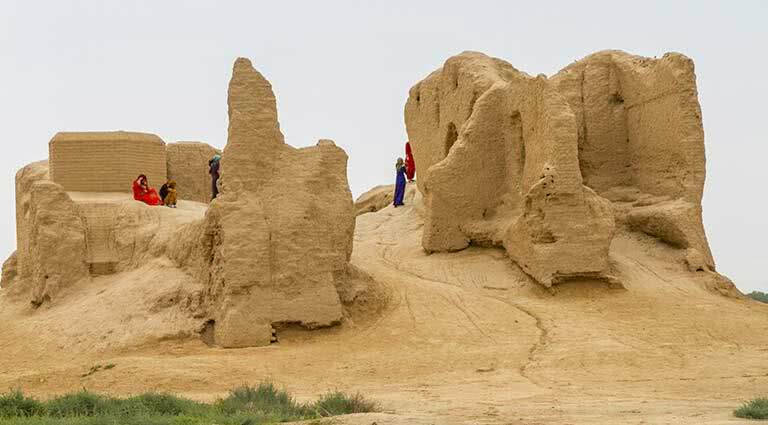 Explore the ruins of this mini empire that dominated the Central Asian Silk Road including the 6th-century Kyz-Kalas forts. Marvel at the elaborate Seljuk decoration of the mausoleums of the 12th century, before returning to Mary. 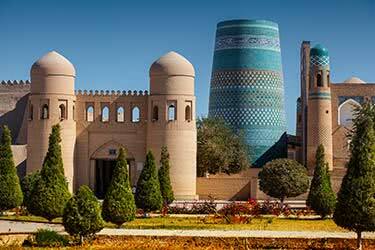 Drive back across the border into Uzbekistan for your destination, the seat of central Asian learning, Bukhara with its stunning architecture (around 5-6 hours' drive). Stroll around the shady pool of Lab-i-Hauz and gaze up at the towering Po-i-Kalyan minaret and explore the madrassas surrounding them. In Samani Park, venture into the oldest building in the region, the mausoleum of the Samanid Dynasty. Today you will experience a touch of sovereign opulence with a visit to the 18th century Bolo Khauz complex, built for the wife of an Emir; and Sitorai Mokhi Hosa, a royal summer residence. 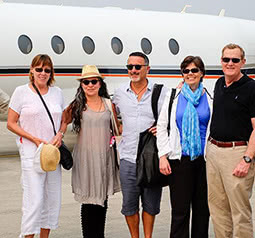 Join the pilgrims en route to the Baha-ud-Din Naqshband memorial, the sacred resting place of the first Sufi Muslim. Take a drive through Gijduvan, known throughout the region for its gorgeous pottery. Visit a traditional ceramics workshop to see the production process and take tea with a master artisan. 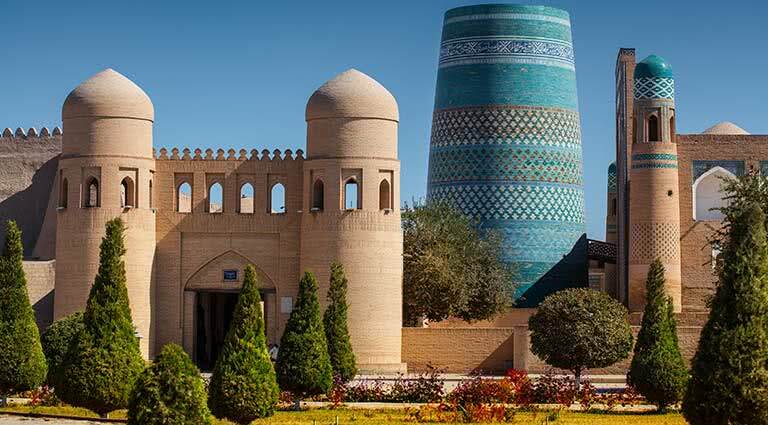 From here, continue to historic Samarkand (around 3.5 hours) for a traditional Uzbek lunch followed by a stroll around the vast Registan Square, surrounded by its three intricately decorated madrassas. Continue your discovery of this ancient city, taking in the Bibi-Khanym mosque with its elaborate turquoise dome; explore the labyrinthine necropolis of Shak-i-Zinda, the burial site of the cousin of the Prophet Mohammed and Tamerlane's final resting place, the Gur Emir Mausoleum. 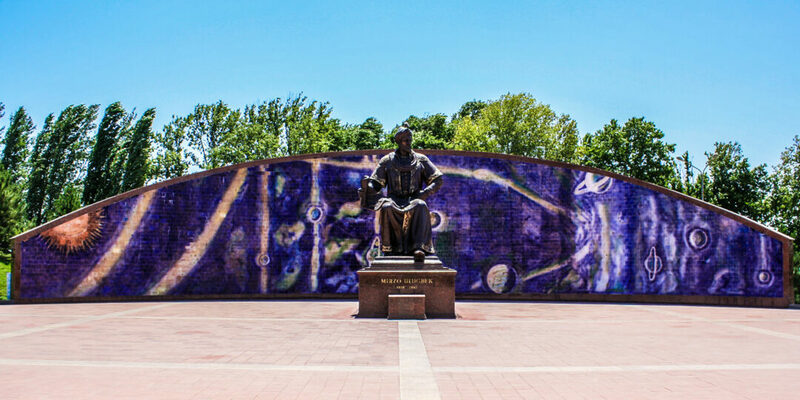 Finally, join six centuries of astronomers and gaze at the sky from Ulugbek Observatory. In the morning, take a trip to the old paper mill of Samarkand to see the ancient techniques of paper-making still employed today. Visit the mausoleum of Daniel the Prophet, a common place of pilgrimage for Jews, Christians and Muslims. 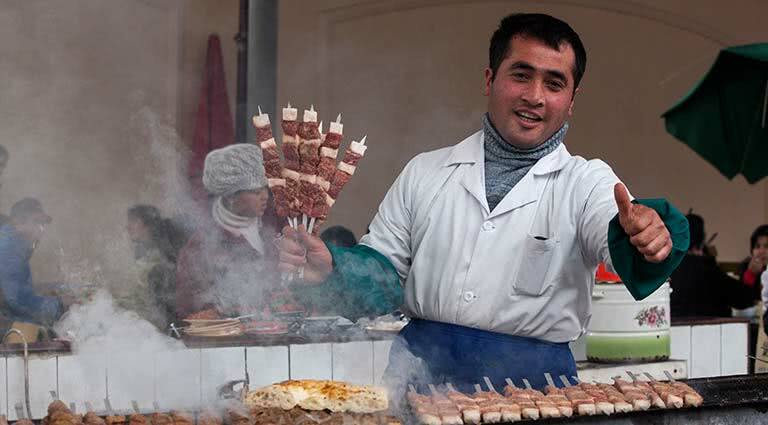 The afternoon is your own to relax and explore; we recommend strolling around Sivab Bazaar to sample some traditional Uzbek delicacies. Take a scenic mountain drive through the lush green Uzbek countryside to the verdant city of Shakhrisabz; Tamerlane himself grew up nearby and favored the area for his summer residence. 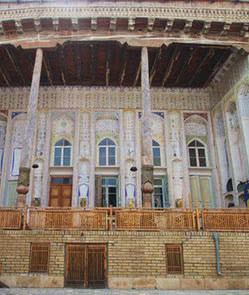 The 14th-century Ak-Saray Palace was one of the ruler’s most grandiose homes and the ‘White Palace’ is still breathtaking in its crumbling glory. Relax on your drive back to Samarkand for the evening. On your comfortable 4.5-hour drive back to the capital, enjoy the scenery and make a stop at Bakhmal village, where you will see and try the unique honey, made from cotton plants. When you arrive back in Tashkent, check in to your hotel and share some lunch. Take the afternoon to enjoy the city sights, we recommend haggling for souvenirs under the domes of the covered market, before a final farewell dinner. 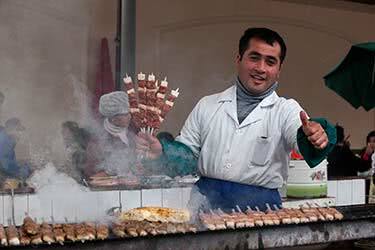 Enjoy a final breakfast in Tashkent this morning and check out of your hotel. 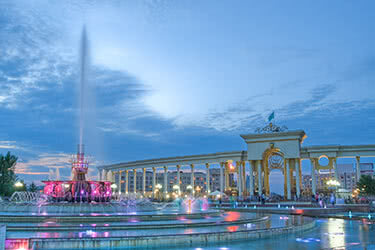 You’ll be driven to Tashkent International Airport for your onward journey. 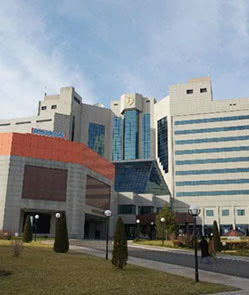 Perfectly located for business, vacation and travel, the Tashkent palace is situated in the center of the Uzbek capital, just a ten minute drive from the international airport and within easy strolling distance of the fountains of the city park, the international ceramics garden, Amir Temur Square and the Alisher Navoi Opera. 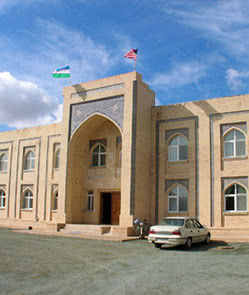 Built in traditional Uzbek style, the hotel features all the modern conveniences required by international travelers. All 232 rooms feature en-suite bathrooms, satellite television, mini bar and air conditioning as well as views of beautiful Tashkent. After a hard day’s sightseeing, enjoy Uzbek and international cuisine in the hotel restaurants, one of which is open air and offers views of the city and a fountain show. 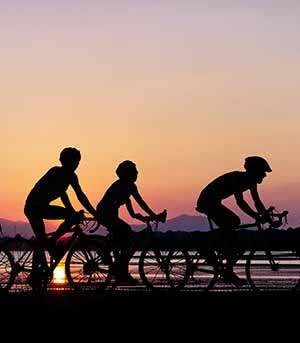 The hotel also has spa and fitness amenities including an outdoor pool, a gym and sauna and massage facilities to ensure guests are fully relaxed during their stay. This property lies in the heart of Tashkent with all the marvellous sights and sounds, museums, mosques and bazaars just minutes away. The International Hotel Tashkent is just 20 minutes’ drive from the airport and within walking distance of the beautiful and peaceful Japanese Garden. The elegantly appointed rooms range from standard to presidential and all are equipped with mini-bar, air conditioning, satellite television and WiFi. 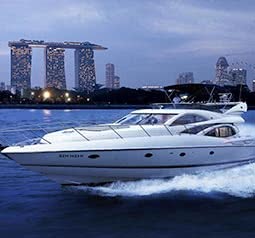 Enjoy fine dining and international cuisine in the Allegro Restaurant; relax with beautiful lake views and a barbecue at bright and fresh Brasserie on the Park or sip cocktails in one of the hotel bars. 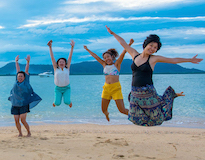 Aquarius Spa is fully-equipped to provide full relaxation and regain harmony of body and soul with massage, gym and sauna facilities, a gorgeous pool and even yoga classes are available. 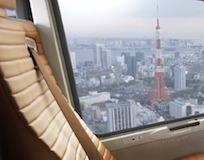 Whilst it wouldn't rank as an international 5-star standard hotel, it's the best hotel in the city. 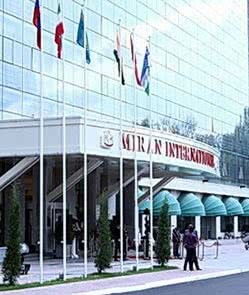 The Miran International Hotel offers comfort and convenience for business and leisure travelers in the heart of Tashkent. Its 140 spacious rooms feature all mod cons including 42-inch flat-screen televisions and high-speed WiFi, while the en-suite bathrooms are equipped with toiletries and bathrobes. 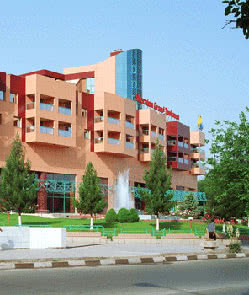 The hotel offers a range of cuisines in its restaurant as well as banqueting and conference facilities. 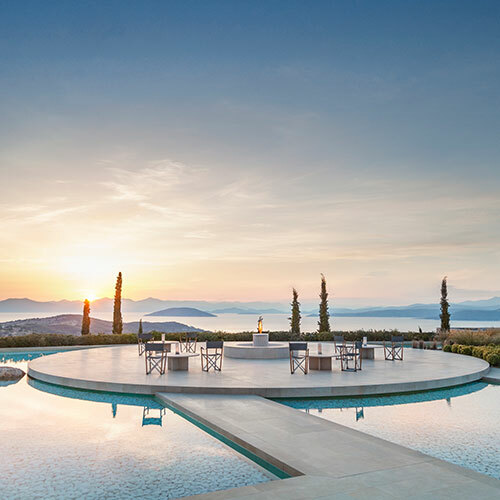 What’s more, guests can spend their leisure time relaxing with a game of billiards or in the health club with its year-round indoor pool, sauna, jacuzzi and gym. 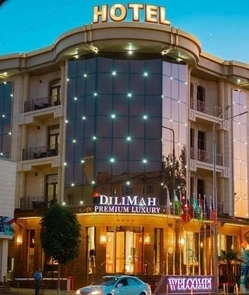 Within walking distance to Amir Timur Square and its museum and just a short drive to the treasures of Chorsu Bazaar and the beautiful Khast Imam Mosque, this hotel surely offers something for all visitors to Tashkent. 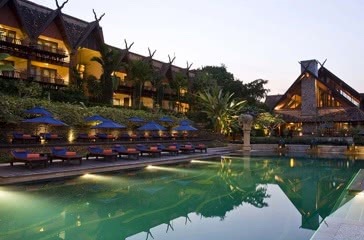 This comfortable is perfectly situated in the city center, next to the southern entrance to Itchan Kala - the old town. 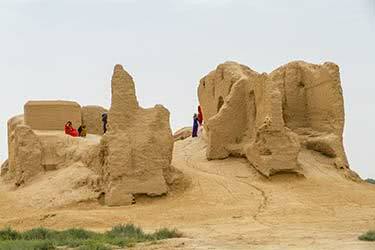 Within walking distance are some of ancient Khiva’s most famous sites, including the Stone Palace, Citadel Kunya-Ark and the Djuma mosque with its carved wooden columns. The hotel has 132 rooms, all of which feature air conditioning, refrigerators, wireless internet and satellite television as standard and though not necessarily modern and luxurious, the authentic charm of the decor is in keeping with the city surroundings. The hotel restaurant serves international cuisine and guests can dine inside or out on the terrace. After a hot and tiring day discovering Khiva’s historic sites, unwind by the outdoor pool or take advantage of the sauna facilities. This comfortable hotel, although relatively modern, is built and decorated tastefully in the authentic Uzbek style so that guests enjoy all the conveniences in an environment of intricate wood carvings, elaborate Khiva carpets and traditional design. 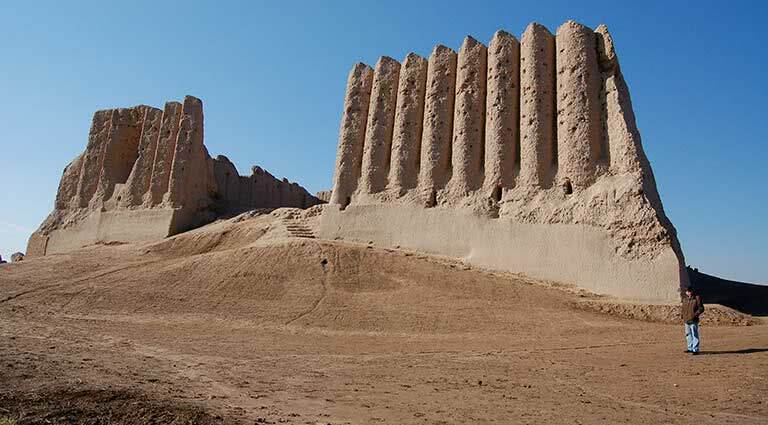 Located within the crenellated walls of the Itchan Kala fortress, it sports stunning views of the skyscraping Islam Khoja Minaret and is a short walk from the mausoleum of Pahlavan Mahmud. The hotel restaurant serves delicious Uzbek cuisine and there are acclaimed local wine varieties, as well as international brands of spirits, available at the hotel bar, while the summer terrace offers wonderful views of the old city so that guests can relax and unwind, fully immersed in the marvellous culture of the city. All single and double rooms have en-suite bathrooms, satellite television and a mini bar. 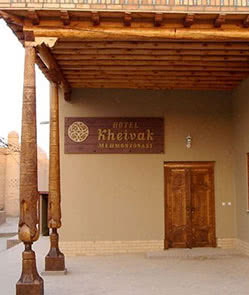 Since 2004, the Malika Khiva hotel has been charming and enchanting its guests with its blend of old world authenticity, modern convenience and colorful, quirky decor. Situated at the very entrance of Itchan Kala at Ata Darvaza and built to look like a madrasah, it serves as a perfect doorway into the old town of ancient Khiva and boasts the very best views in the city. The gorgeous main hall and reception area is decked out with colorful hanging Uzbek carpets, traditionally dressed dolls and even features a giant novelty chess set and classic Silk Road bullock cart for guests to enjoy upon check-in. The bright and cozy single and double rooms each have their own en-suite bathroom, air conditioning and satellite television; the hotel restaurant serves up tasty Uzbek dishes and room service is available 24 hours a day. 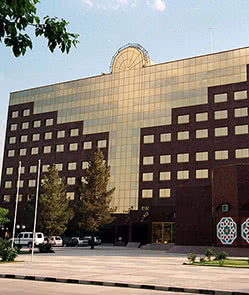 Ak Altyn Hotel is a modern four-star hotel located just outside Ashgabat city center in some more tranquil, leafy surroundings, whilst all the main tourist attractions of the Turkmenistan capital can be reached in just a few minutes. This 10-storey hotel was recently refurbished, and the 100 well-appointed guestrooms here all include air conditioning, satellite TV, international telephones, a mini-bar, in-room safes and elegant en-suite bathrooms. Ak Altyn Hotel also has its own large restaurant which serves up a buffet breakfast spread every morning, as well as an on-site swimming pool, bar, conference room, sauna and salon. Popular attractions nearby include the Independence Monument and the National Museum, both of which can be reached on foot or via a cheap taxi ride. 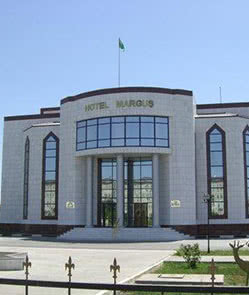 Built in 2006, this 96-room hotel in central Bukhara allows guests easy access to the city’s main historic attractions. 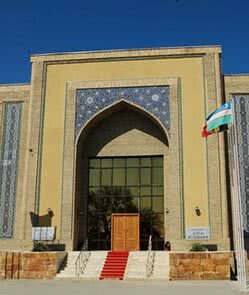 Part of a respected hotel chain within Uzbekistan, the Asia Bukhara Hotel is built in the style of a traditional madrasa and offers travelers welcoming three-star service, with facilities that include an outdoor swimming pool, business center with conference rooms and fitness center. 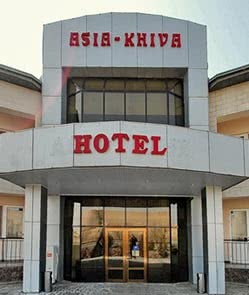 The hotel also offers massage services to help travelers recuperate after a day exploring Bukhara’s ancient sites. Guest rooms include a modern bathroom with tub and shower, a minibar, air conditioning, satellite TV, and in the deluxe rooms, a safe. 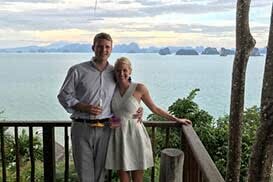 The on-site restaurant serves up national and international dishes and a bar and nightclub gives visitors the chance to socialize with fellow travelers and locals after hours. The Asia Bukhara Hotel is located in the heart of the ancient city, and guests will find many historic sites of note within walking distance. Positioned in the heart of the Old City, Lyabi Khauz Hotel provides warm Uzbek hospitality in a beautifully restored 19th-century house. All 40 rooms have been refurbished in a comfortable, modern manner with traditional Uzbek accents and mod-cons such as satellite TV, air conditioning, fridge, work desk and full bathroom. Accommodation is available as single, twin or triple rooms with the option of a Junior Suite for travelers who require more space. 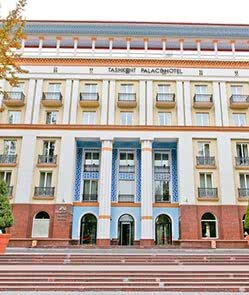 Among the highlights of this beautiful hotel are its original facade and a central dining room and hall with ornate tiles and antique decorations. 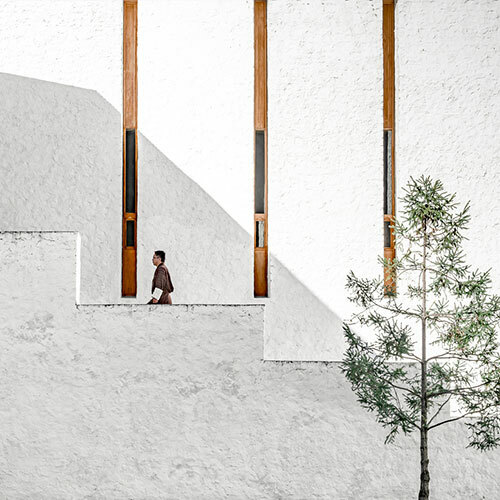 The place was designed and built by architect Usta Shirin Murad, whose other works include the Summer Palace of the Emir of Bukhara and the Ballet Theatre. Not only is the hotel a valuable part of Bukhara heritage itself, it’s located in the historic center of town, within steps of the 16th-century Silk Road marketplace where travelers can pick up souvenirs and handicrafts. 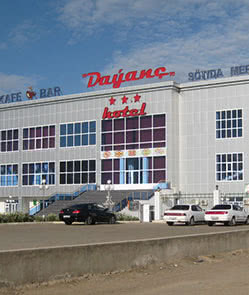 The Lyabi Khauz Hotel is also equipped with a business center, bar, 24-hour room service and laundry service. The restaurant serves up more than 100 local Uzbek dishes, plus international favorites and vegetarian fare. Located in the heart of the city, the Dilimah offers convenience and comfort to visitors of this historic city. The 11 guest rooms are furnished with contemporary amenities and furnishings, and premium rooms feature a balcony. 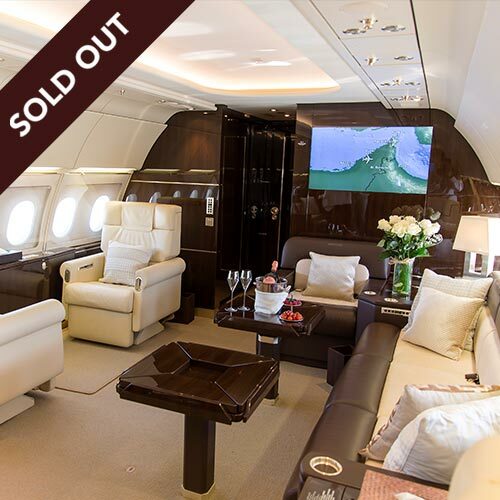 Facilities and services include 24-hour concierge, fitness center, seasonal outdoor swimming pool, indoor pool, business center, babysitting services, and on-site restaurant and bar. Complimentary Wi-Fi is available throughout the property. 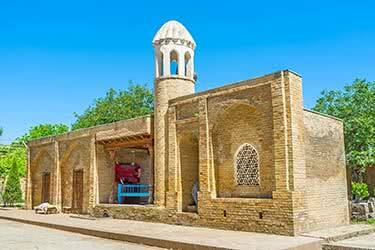 Delve deep into Uzbekistan's rich historical, religious and cultural tapestry in this unforgettable 10-day trip. 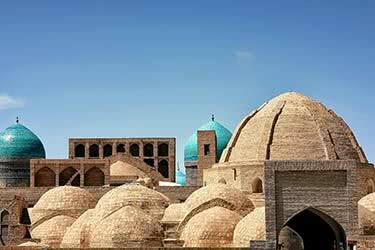 After exploring the capital, Tashkent, it’s on to the beautifully blue-washed city of Khiva. Tiptoe around the monastery-like surroundings of Bukhara, before eventually ending up at the beloved and spiritual city of Samarkand. 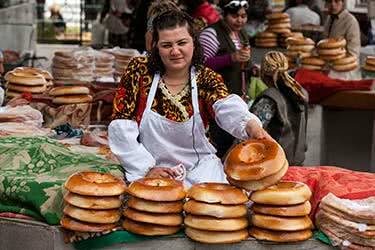 This nine-day tour will whisk you through the wonders just waiting to be uncovered in Uzbekistan. 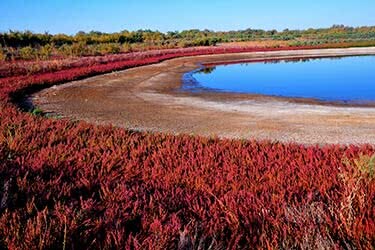 Travel across this stunning country by train alighting to delight in the jaw-dropping architecture of the mosques and madrasahs of Tashkent, Bukhara and Khiva, the dramatic reds of the Kyzyl Kum desert and the beauty of the Amu Darya river. 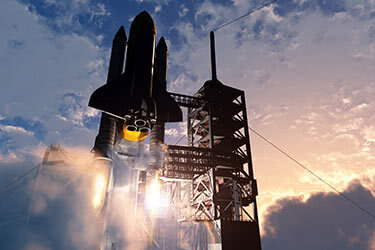 Fourteen days, two countries, eight cities and one rocket launch: there are not many journeys that you’ll make quite like this one. Over the course of two weeks, you’ll be treated to all the important historic sites of Uzbekistan and its ancient Silk Road cities, as well as witnessing a once-in-a-lifetime event – the “Soyuz” rocket being launched into space from the cosmodrome in Baikonur. 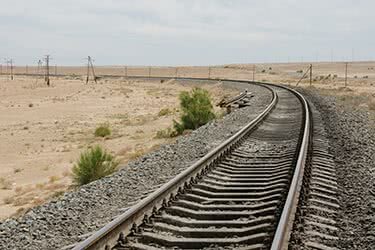 Witness the wonders of southern Uzbekistan on this ten day adventure. Gaze at Tashkent’s marvellous mosques and minarets, the mosaics and madrasahs in Bukhara and the treasures of Tamerlane in Samarkand. Delve into the Uzbek countryside, stay in a local home in Darband and meet authentic practising shamans before returning to Tashkent. This 11-day journey follows the ancient Silk Road of Uzbekistan, encompassing the historic trade cities of Khiva, Bukhara and Samarkand. The beauty, as well as the sheer scale of construction is enough to captivate thousands pilgrims and tourists alike. 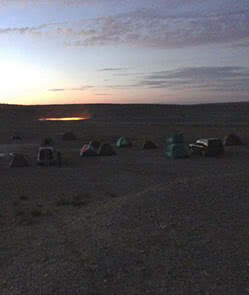 You'll also have time for a camel ride and night under the stars in the Uzbek desert. 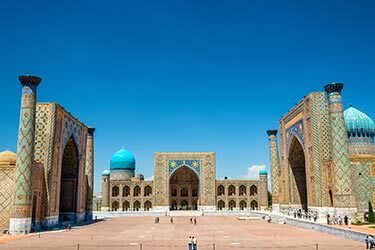 Make the most out of your time in Central Asia with this action-packed, nine-day tour of Kazakhstan and Uzbekistan. 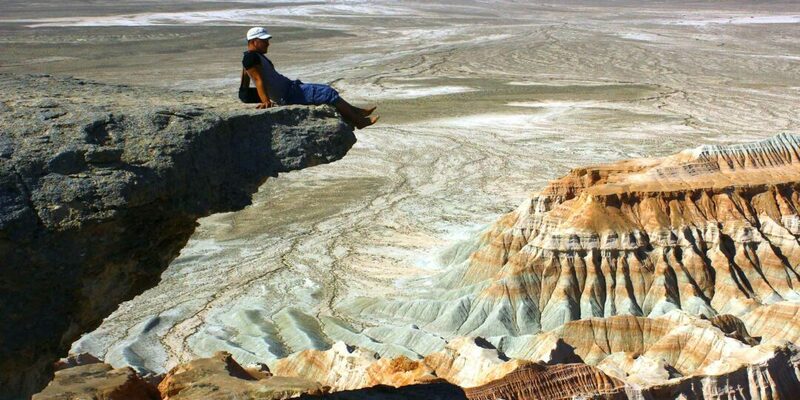 Starting in Almaty, Kazakhstan and ending in Tashkent, Uzbekistan, this tour will take you from the Charyn Canyon to the Gur-Emir mausoleum, visiting five major cities and touring historical and cultural attractions. 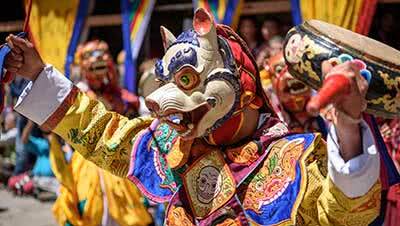 Discover the hidden treasures of two countries on this two-week tour. Marvel at the ancient architecture and explore the bustling bazaars of Uzbekistan’s big cities and plunge into the lakes, mountains and canyons of scenic Kyrgyzstan, where you’ll bathe in hot springs, picnic in meadows and even stay in a rustic local home. 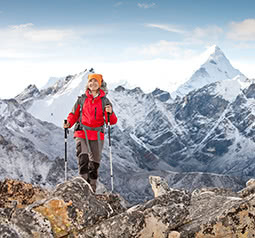 There’s a world of culture, history and nature waiting to be uncovered by those daring enough to be different. This two-week itinerary through Uzbekistan and Tajikistan offers exactly that - something a little different. 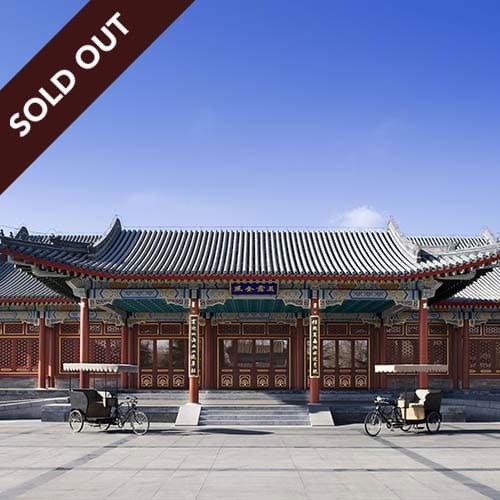 A truly memorable 14-day trip through this fascinating yet often overlooked part of the world. An 11-day trip that takes you across the evolving landscape of Uzbekistan’s Fergana Valley, passing empty deserts, negotiating snow-topped mountains and exploring ancient trade cities. 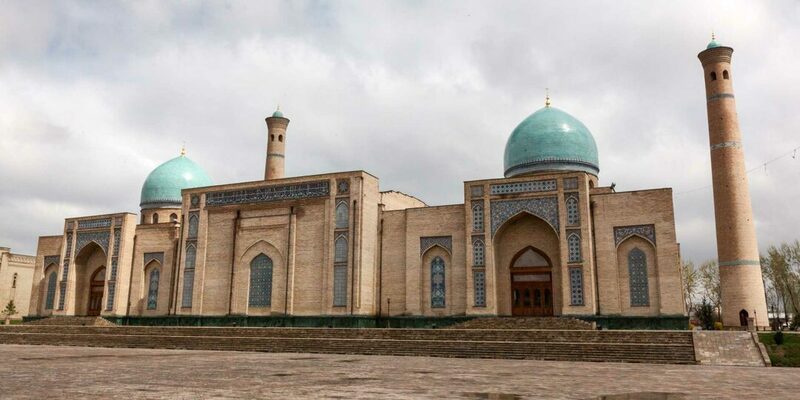 Witness luxurious, awe-inspiring palaces and mosques alongside modest mountain villages reflecting the untouched lifestyle of the famously friendly Uzbeks. Jay Tindall was amazed by Uzbekistan's cultural diversity, its 2700-year old history and its mosques, markets and friendly people. 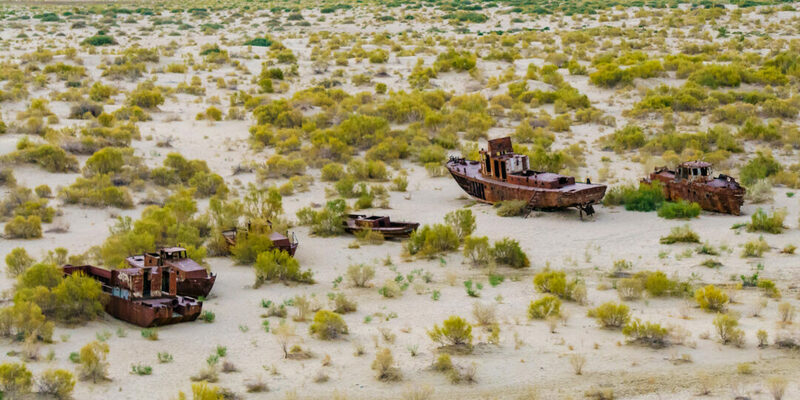 When the Aral Sea retreated to feed Soviet agriculture, whole regions were left abandoned, forgotten, and dry. In Moynaq, the only legacy of this once promising city are the ships that now sail on the desert. 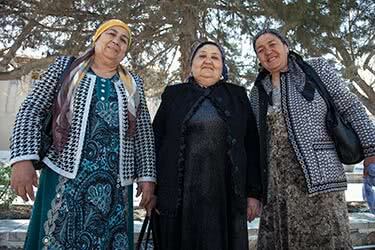 Uzbekistan was created by the Soviets in the 20th Century, but the land, the cities, and the people within this country’s borders have a history that stretches back centuries. 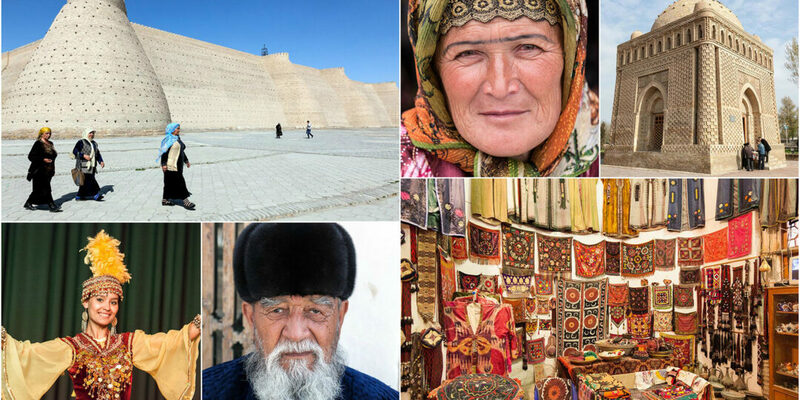 These sites put modern Uzbekistan in perspective. 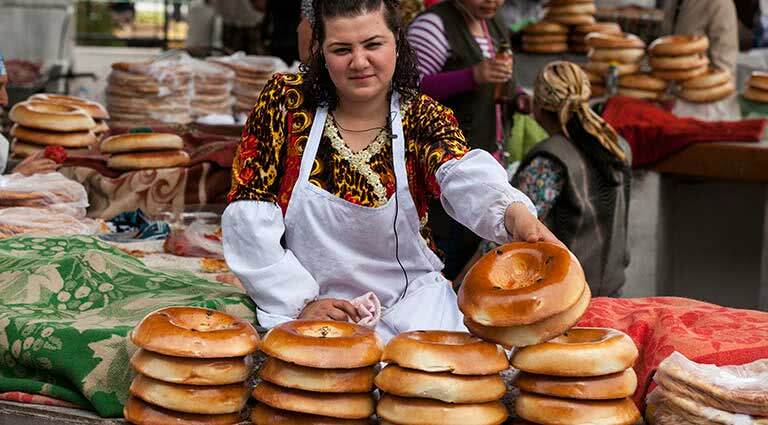 We at Travelogues love going to Uzbekistan, so we went on a quick trip around Instagram to introduce you to some of our favorite Uzbekistan treats. 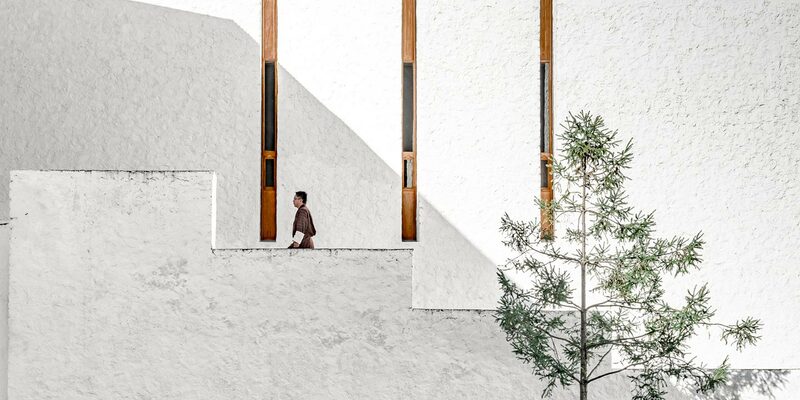 There has never been a better time to journey to the cultural centers and sweeping countrysides of Uzbekistan, and we have picked our top seven hotspots to visit before the rest of the world catches on.